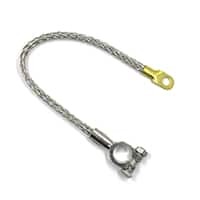 Anchor tab for the battery cover securing strap. 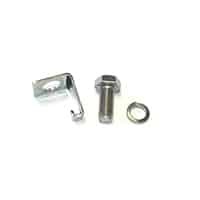 Bolts to the boot floor in a Mini Saloon to the same captive nut that secures the ground strap. 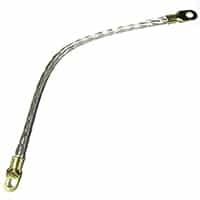 Heavy duty braided steel battery ground strap, 12" long. 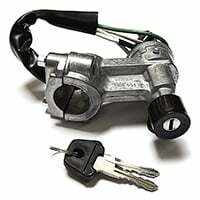 Battery cut-off switch. FIA approved. 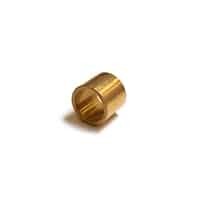 Most race sanctioning bodies require the use of this special (diode protection device) cut out allowing the switching off whilst the engine is running without damaging the electrics. 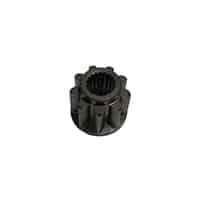 This rubber boot insulates the heavy leads to the starter solenoid. 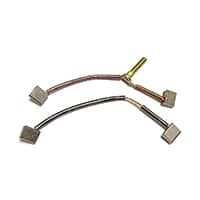 One should be on the cable from the battery to the solenoid, and one on the cable from the solenoid to the starter. 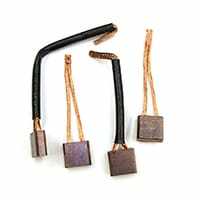 Set of four (4) brushes found in the early 35G-1 inertia starter. 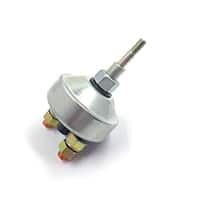 Later inertia starters, model 35J, used these brushes. 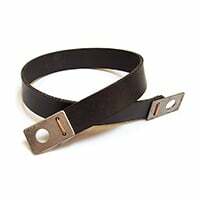 Sold in a set. Minis used the M35G-1 starter model originally, identifiable by the removable brush covering band. If the front bush is worn, this is the correct one for this model. 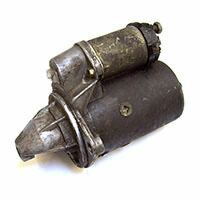 The 35G-1 starter was the earlier of the two inertia types. 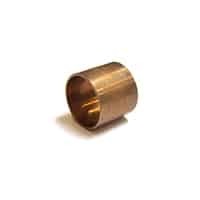 The rear bushing must be replaced if it shows excessive wear. 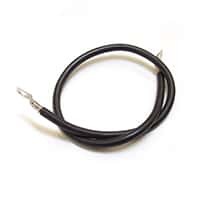 A 24" cable with correct end fittings to connect from the engine-bay starter solenoid to the starter on cars with inertia starter. 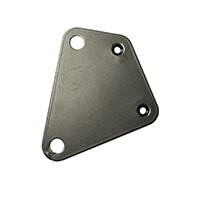 A nice reproduction four-sided mounting bracket. An alternative mounting configuration for the solenoid; see also SEL0007 three-sided bracket. 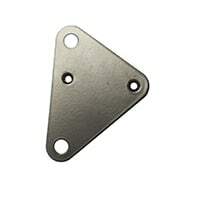 A nice reproduction three-sided mounting bracket. An alternative mounting configuration for the solenoid; see also SEL0012 four-sided bracket. 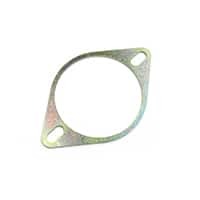 This thin spacer was developed for those ocasional instances where a pre-engaged starter will interfere with the flywheel ring gear. 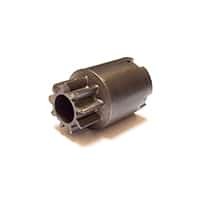 The 10-tooth pinion replaced the original 9-tooth one on inertia drive Lucas starters. If yours has 10 teeth, this is the one to order. 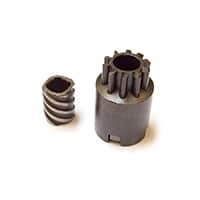 This 9-tooth starter pinion can be fitted to a pre-engaged starter so that it can be used with an early, 107-tooth ring gear. 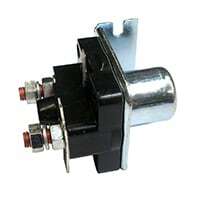 This solenoid is a large electrically operated switch capable of carrying high starter current. This is the most common type found on Minis until about 1977. 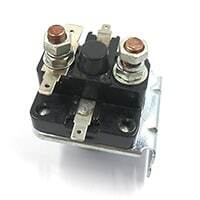 Starter solenoid with two large and two small terminals. Used on Minis from 1977 to 1985. 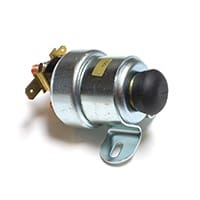 This type of solenoid was common in the 1960s, and offers the convenience of being able to start or "bump" the engine from under the hood. 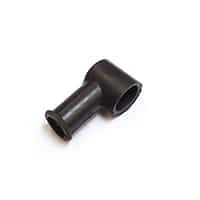 This feature assists valve timing, tune-ups, etc. 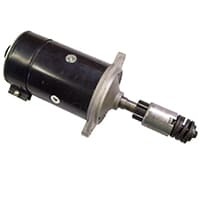 Early Minis had a off-on ignition switch and the start function was in a floor mounted push button switch. 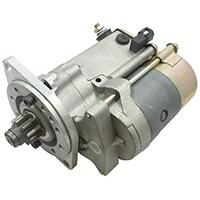 Strong, compact, permanent magnet gear reduction starter for pre-Verto flywheels. 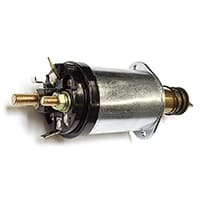 Internal solenoid. 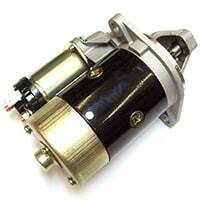 All-new inertia starter motor for A-Series Mini. 9-tooth pinion. Sold outright; no exchange necessary. 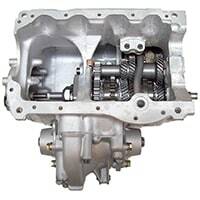 The pre-engaged starter was used on all Minis after January 1986. 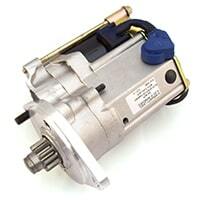 It has an integral solenoid and is an improvement over the earlier inertia starter. 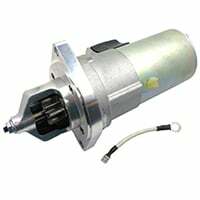 Used pre-engaged starter for Verto clutch assembly. Originally fitted to Metro, but works on Mini when fitted with care. Rubber strap to hold the battery cover in place. As original.